Previous show date is July 14th & 15th, 2018. Century II is a rather large facility. The Wichita gun show is held in the “Bob Brown Expo Hall” portion of the venue. Because it’s so large, various building and even the parking lots have their own addresses according to the website for the facility. I’m going to use the “main address” of 225 West Douglas, Wichita Kansas 67202-3100 for the purpose of this page. The restrooms at the Wichita Gun Show are actually fairly nice for a gun show, but they are all located by the food sales, so there can be a bit of a hike depending on where you started at. Food sales are typical gun show, nothing really special. And of course, given that you are a captive audience, expensive. Plan accordingly. Air conditioning is actually decent in this location, at least it was at previous shows. There have been at least three promoters working gun shows in this location. Keep that in mind when looking, and if you had a good or bad experience, make sure you are blaming or crediting the right promoter, not the facility, for said show. There have been two normal gun show promoters, and one “outdoors show” promoter that had a small gun show contingent back in one corner. Of the two normal gun show promoters, only RK Shows is still working Century II. Parking is interesting. Pretty much the entire area around the facility is coated in parking meters. Checking with the show promoters, the parking meters are not enforced on Saturdays and Sundays, so it’s effectively free parking. Past Show: September 15 & 16, 2018. Past Show: July 07 & 08, 2018. Address: This location has the “vanity address” of 1 Expocentre Drive, Topeka Kansas 66612. If your GPS doesn’t understand that address, it’s on Topeka Boulevard, between 17th and 21st streets. Once you are in the area, it’s kind of hard to miss. This facility is decent for gun shows. It’s a decent sized fairly modern building. Bathroom facilities are in good repair, but all located along one side of the building, so there may be a walk involved. Sad to say, show food at this facility is among the poorest I’ve seen at a show. And, as is typical for a gun show, seriously overpriced. I seriously cannot recommend you get food from this show. Parking is free, at least it has been every time I looked. You will have a little bit of a walk from the outer edges to the front door if the show is getting crowded. There have been multiple Topeka Gun Show promoters using this facility in the past. At the current time, only RK Shows has been hosting shows here. Air conditioning is decent in this facility. Years ago, I used to sell the Remora Holster at the gun shows. While I’ve moved on to a similar product in the Grip Hugger, I still have a spot in my heart for the Remora Holster. Remora Holster has made a video that really does a good job of explaining all of the basics. 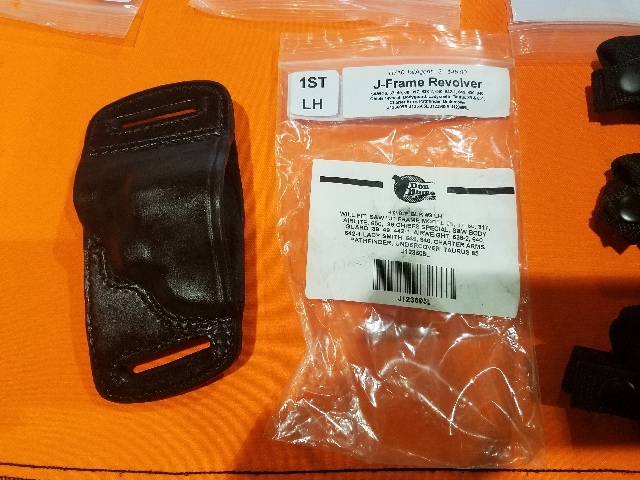 Remora Holster didn’t stick to the one product. They kept tinkering and creating new options for the holster. Some were simply cosmetic, such as different color linings, or even different color exteriors. Some put their logo in the material itself. There were a number of useful options, however. Remora has made a good video explaining how this variant works. It actually has info in it that wasn’t available when I was selling them. When I was selling these, the tuckables never really were a fast mover for me. I just didn’t get a lot of people wanting that particular feature. A friend of mine that sells in another area, though, does have better luck with them than I did. RFT stands for “Reinforced Top”. A stiffener is placed at the top of the mouth of the holster. This keeps the holster mouth open when the gun is removed. 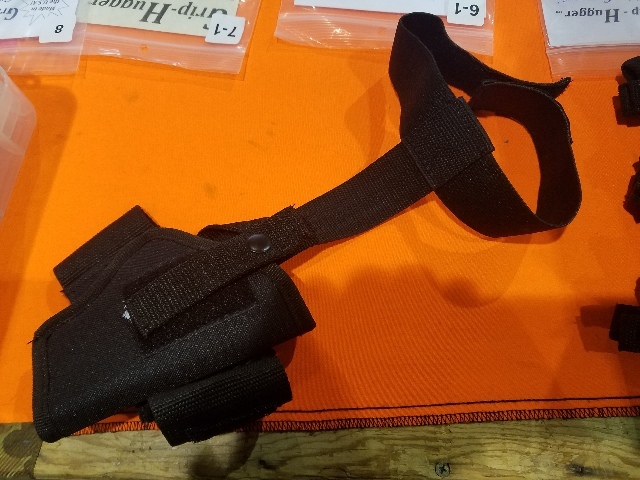 This feature allows the wearer to “one hand reholster”, which is to return the gun to holster carry without actually manipulating the holster. This is a feature mostly in demand from law enforcement officers, who may find themselves with a hand busy dealing with a suspect. A typical concealed carrier probably isn’t going to find themselves in that situation. A number of people still want that capacity, though, and this provides it. I didn’t spot a video explaining this one, so we will just have to do it the old fashioned way. 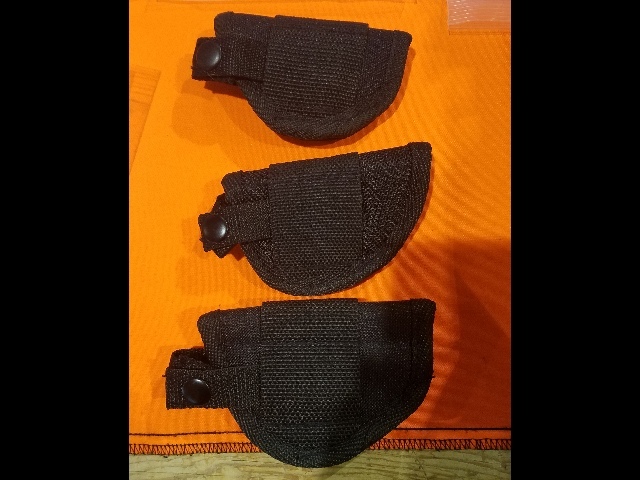 A Body Shield holster is one that is taller on one side (the side towards the body) than the other side. The reason for this is so that people who don’t want any metal touching their body, don’t have to have metal touching their body. To make matters more fun for us vendors, they actually had two versions, a normal and a really tall version. The body shield is directional, it has to be only right handed or left handed. The basic Remora Holster was completely ambidextrous, the Body Shields? Not at all. 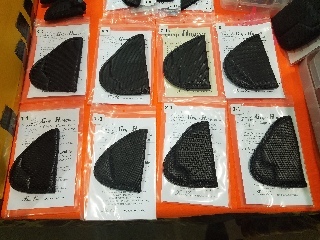 If you are making these as you go, such as Remora Holster would be doing, this isn’t an issue. If you have to buy your products in advance and try to guess what the public wants to get, then you have an issue. There are actually a lot more variants out there, including some that were introduced after I stopped carrying the holsters. Given that, it would be hard for me to comment on them, so I won’t. 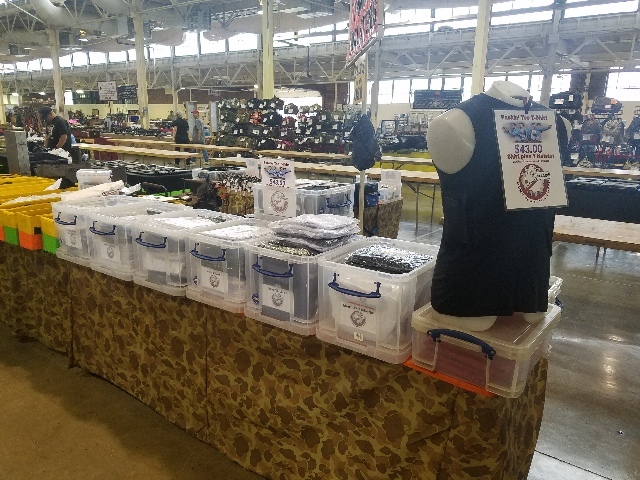 As a gun show vendor, I keep my stock to a small table space and as fast moving as I can. 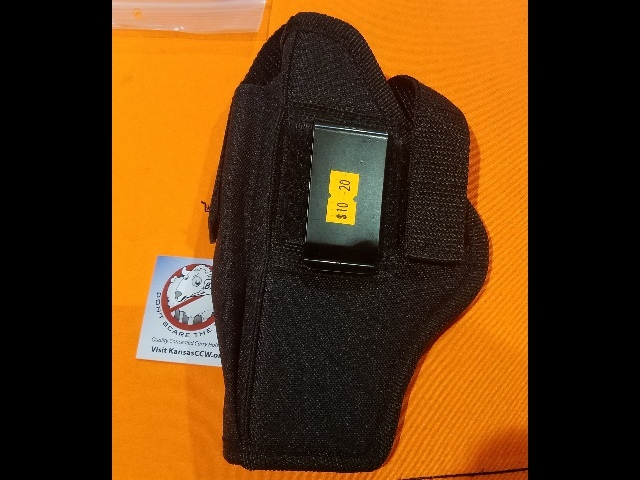 The Remora Holster line is excellent, but it just got too much to try to keep up with as a vendor. 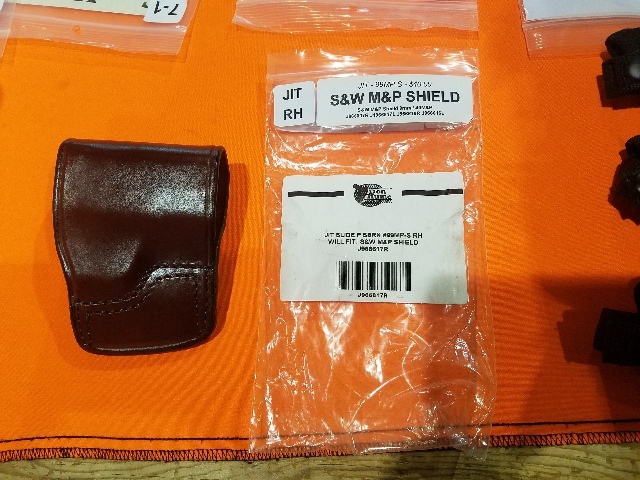 I have no trouble recommending the Remora Holster to anyone looking for a good concealed carry option. I just no longer carry them myself, going with the Grip Hugger holster instead. 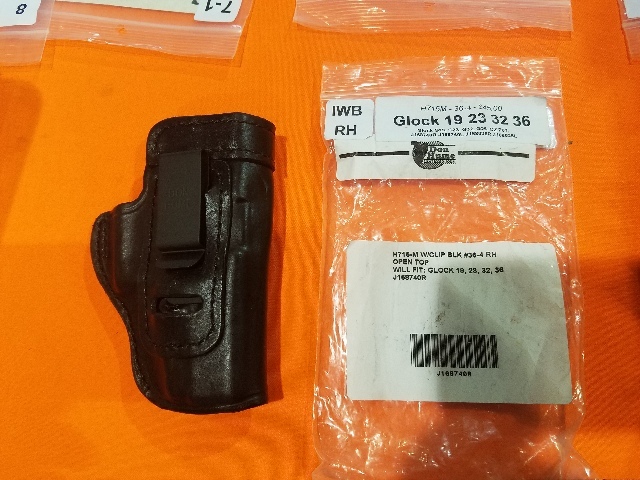 Information on the Kansas City Gun Show held at the KCI Expo Center. Next Show: October 27 & 28, 2018. Previous Show: August 18 & 19, 2018. The Kansas City Gun Show at the KCI Expo Center is held in a larger building with many separate rooms. It’s possible that more events than the Kansas City Gun Show can be held here at the same time. This can be an issue with parking when it happens. Food is available through a separate room in the KCI Expo Center called the “Fly Away Cafe”. While high priced, it’s actually better than some I’ve seen. Although, to be honest, for the prices charged, you wouldn’t voluntarily pick it as an option. It has a small museum style display about various aviation topics in there. Restrooms are well maintained, and unfortunately, located closer to the main entrance than the room where the gun shows are held. You are going to have a walk ahead of you. On the bright side, it’s easy to hit the bathroom before leaving. Parking is interesting. Especially if more than one event takes place at the same time. The KCI Expo Center main parking lot is decent sized, but also shares space with the Holiday Inn that’s next to the facility. Because of this, Kansas City Gun Show parking often spills out into the adjoining streets, and empty grass lots across the street. During RK Shows, shuttle busses are set up to help move you back and forth from parking to the front door. I’m from Kansas, can I buy a gun at this show? Kansas City is a “dual state” city, with some of it in Kansas and some of it in Missouri. This can lead to interesting issues when legally buying a gun there. The KCI Expo Center is on the Missouri side, very close to MCI Airport. Missouri laws apply here. Long Guns from FFL Dealers: Kansas and Missouri are reciprocal on long gun purchases. Citizens from either state can buy long guns from FFL dealers from either state. Long Guns from private sellers: Missouri citizens can buy from other Missouri Citizens. Kansas private buyers or sellers may have to go through an FFL dealer to legally buy or sell in Missouri. Handguns from FFL Dealers or Private sellers: Missouri citizens can buy at their convenience. Kansas citizens can buy from an FFL dealer but will have to have the gun transferred to a Kansas FFL to officially sell it to them. The same caveat applies to any private sales of handguns. There are usually a couple of dealers at this show that will perform this service for a fee, typically called a “transfer fee”. There are at least two active promoters doing Kansas City Gun Shows at this facility, and there have been others in the past. RK Shows is the one that’s doing regular gun shows, another one is doing C&R (Curio & Relic) collectors shows.